The Intel® Perceptual Computing SDK is an facinating tool for any innovative developer. Currently I'm participating the Intel® Perceptual Computing Challenge. My idea proposal for the Intel® Perceptual Computing Challenge is to develop a Perceptual 3D Data Analytics Dashboard as a .Net Control. My idea is to develop a three dimensional data analytics dash board control in .Net Framework, which can be rotated, accessed and manipulated through the Intel Perceptual Computing hands. I'm planning to develop 3D graphs and charts of different kind, which can be rotated and controlled by hands to see and drill down to all levels of axis and legends easily. Voice commands also can be used to rotate and control the dashboard. The data analytics dashboards will be more easily accessible and manageable by users. 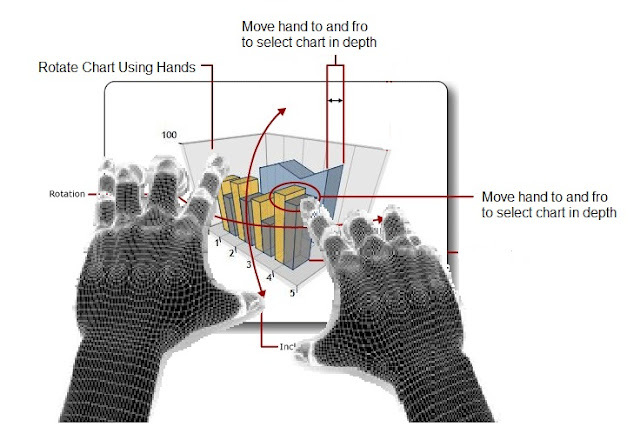 The rotatable charts will give more in-depth and detailed visualization and representation of data, which can be easily move around using hands and voice commands. All kind of data analytics representations can be done through this control. Intended users are application developers to use these controls in their applications. I am developing it as a .Net control using Microsoft .Net framework 4.5/ C# in VS 2012. I'm also using Chart Controls available in .Net.